December | 2015 | United We Blog! Today Nepal and China agreed to expand and consolidate bilateral cooperation focusing mainly on trade, transit, investment, energy, tourism and infrastructure development, according to a statement issued by Nepal’s Foreign Ministry. The agreement was reached during a meeting between Deputy PM and Foreign Minister Minister Kamal Thapa and the Chinese Foreign Minister Wang Yi in Beijing. 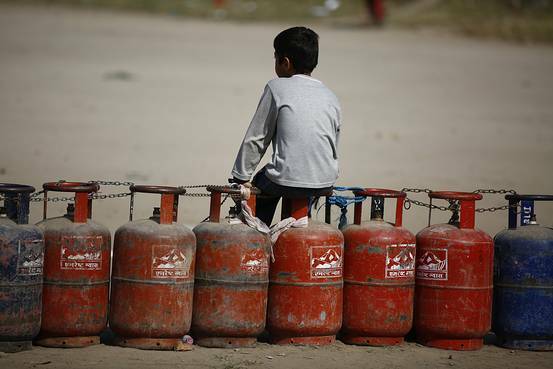 “China has expressed its willingness to seriously examine Nepal’s proposals for importation of petroleum products from China and has advised the respective companies of the two countries to jointly examine the matters relating to price, transportation and other logistics,” the statement says. Soon after this ministerial agreement, Deputy Chief of Nepal Oil Corporation Sushil Bhattarai and Under Secretary Navaraj Dhakal of Ministry of Commerce and Supplies were called (by Foreign Minister Thapa) to Beijing to sign an agreement on importing petro-products from China. Both Bhattarai and Dhakal have reached Beijing on Friday. The Chinese side informed that travel advisories issued in the context of earthquake in Nepal has been lifted with immediate effect and hoped the number of Chinese visitors would increase significantly in future. Nepal reciprocated by announcing that visa fees for Chinese tourists visiting Nepal will be waived. Prime Minster KP Oli is invited to visit China next year. Post-earthquake reconstruction will be accelerated, and both Araniko Highway and Syafru-Rasuwagadhi Highway will be repaired. Trade and investment cooperation will be strengthened. Long-term oil and gas trade between the two countries will be explored. Existing ports will be repaired and rehabilitated. The process to sign a Transit Transportation Agreement will be accelerated. A feasibility study will be conducted on Free Trade Agreement. Cultural exchanges will be furthered. Nepal-China bilateral meeting in Beijing today. Deputy PM and Foreign Minister Kamal Thapa led the Nepali side while the Chinese side was led by Foreign Minister Wang Yi. Invited by Wang, Thapa is on an official China visit from Dec. 24-29. 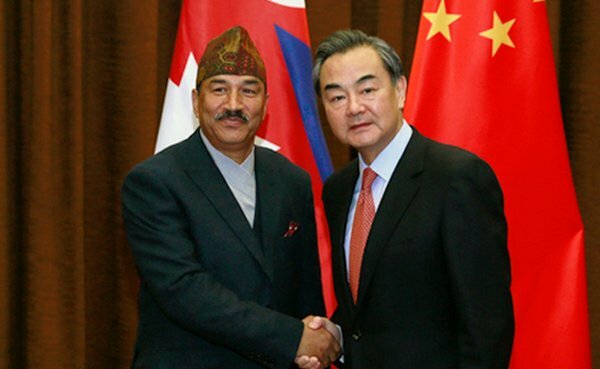 The Chinese Foreign Minister… expressed China’s strong desire to see a peaceful, stable and prosperous Nepal. He further said China would continue assisting Nepal in her development endeavours. The two sides discussed the importance of exchanging high level visits between the two countries. The Chinese side has conveyed the invitation to the Prime Minister of Nepal to visit China at an early date. 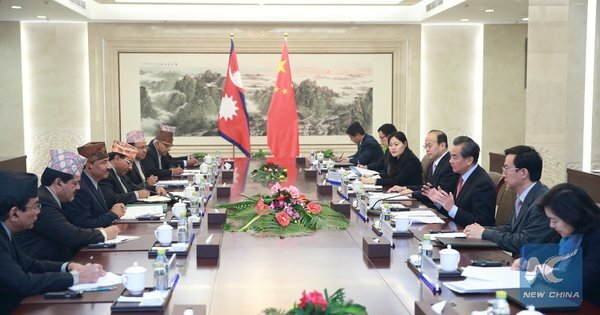 There will be a high-level visit from China to Nepal as well next year. Expressing happiness over the development of bilateral relations and cooperation over the last 60 years, the two sides agreed to expand and consolidate bilateral cooperation focusing mainly on trade, transit, investment, energy, tourism and infrastructure development. They agreed to upgrade and operationalize the existing border points and develop the other border points to promote connectivity between the two countries. The Chinese side has agreed to give priority to the reopening of the Tatopani-Zhangmu border point, which has been disrupted after the April 25 earthquake. The intergovernmental mechanisms have been tasked to advance negotiations on the proposals on free trade area, transit and Bilateral Investment Protection and Promotion Agreement (BIPPA) which were discussed during the meeting today. China has expressed its willingness to seriously examine Nepal’s proposals for importation of petroleum products from China and has advised the respective companies of the two countries to jointly examine the matters relating to price, transportation and other logistics. As a friendly gesture, China will make available additional fuel to northern areas of Nepal bordering Tibet Autonomous Region. The Chinese side informed that it would soon take up agreed projects for post-disaster reconstruction as per its pledged assistance during the International Conference on Nepal’s Reconstruction. China has announced its willingness to support Nepal’s industrialization process through reconstruction. Hon. Mr. Thapa thanked the Government of China for extending generous support to Nepal’s socioeconomic development over the years. He also appreciated the spontaneous and prompt support received from China in the aftermath of the April 25 earthquake of Nepal. The two leaders discussed the ways for promoting people to people contact. In this context, the Chinese side informed that travel advisories issued in the context of earthquake in Nepal has been lifted with immediate effect and hoped the number of Chinese visitors would increase significantly in future. The Hon. Deputy Prime Minister reciprocated the friendly gesture of his Chinese counterpart by announcing that the Government of Nepal would waive visa fees for Chinese tourists. …Mr. Lok Darshan Regmi, Finance Secretary of Nepal and Mr. Zhang Xiangchen, Vice Minister of Commerce of China signed the Agreement on Economic and Technical Cooperation under which China would make available 900 million RMB as grant assistance for the implementation of the projects of repair and maintenance of Araniko Highway and other projects of interconnection and interworking. 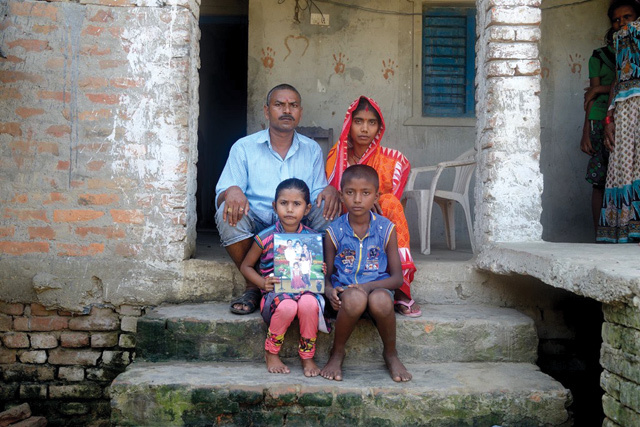 It may be recalled that this assistance was announced by the Chinese President during his meeting with his Nepalese counterpart in March 2015 in Boao, Hainan.